This download shows you procedures you can implement now that ensure the successful management of your outsourced GMP activities. Contracting services to third parties (outsourcing) is becoming more and more important due to the increasingly stringent quality and safety requirements that apply to medicinal products and the increasing cost pressure in health care. Outsourcing ensures that the contract giver and the contract acceptor can focus on their core competencies. It is useful when special technologies or expensive equipment are required, provides access to third-party expertise and, at the same time, frees up in-house resources. 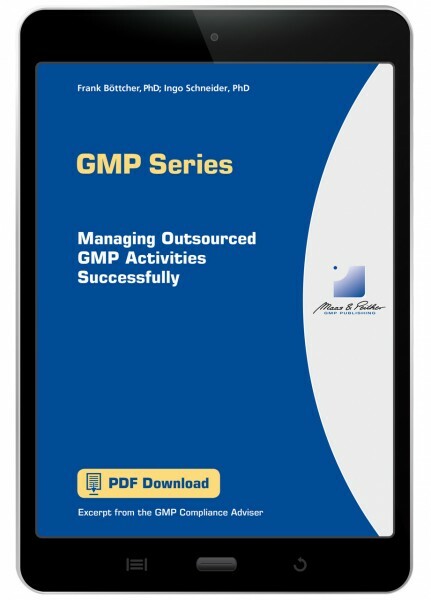 You'll discover procedures you can implement now that ensure the successful management of your outsourced GMP activities.